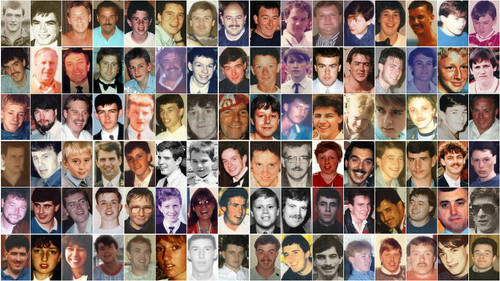 A police officer who carried a victim out of the terrace at Hillsborough told the inquests into the 96 deaths he “didn’t seem dead”. Kenneth Horsfield, who was a PC in 1989, also claimed he was kicked by someone as he tried to revive 24-year-old Derrick Godwin, who had travelled to the semi-final from his home in Gloucester. Pictures showed Derrick in pen three of the Leppings Lane terrace at 3.02pm. Mr Horsfield, who was called into the stadium from outside, described seeing a pile of casualties in the pen. In a statement, he said: “One at my feet, wearing a red scarf. “I grabbed him, pulled, dragged, carried him out up the tunnel to the rear of the stand. “There was noise, shouting, confusion everywhere. “I put him down. He didn’t seem dead. “I got on my knees and attempted to revive him, mouth to mouth. “I don’t know how long for, not long. “Someone running past kicked me on the right side of my stomach, I was winded for a bit. “I looked up. People all around. “People laid everywhere. Some dead, many injured. “I realised he was too far gone. Mr Horsfield, who had about 18 years service in the police force in 1989, told the court: “He didn’t seem the same as other deceased persons I’ve dealt with. Whether it’s time difference. He said the casualty, believed to be Derrick, looked ashen and his lips were blue. He told the court he had a vague recollection of being approached by two police officers who remained with Derrick when he went back to the pen. Mr Horsfield said just over an hour later he saw a number of bodies on the service road running alongside the ground and recognised one as the Liverpool fan he had carried out of the pen. He later searched the fan and found a railcard with Derrick’s name and photo on. He remained with Derrick when he was confirmed dead by Professor John Ashton and later transferred him to the gymnasium. Kerry Grace, who was working as an inspector in South Yorkshire Police in 1989, said he had been on standby at Rotherham police station on the day of the disaster and had arrived at Hillsborough at about 3.25pm. He said he was not given any details about what had happened when he was called to the ground. He said: “I saw a man lying on the floor and my immediate thoughts were that there’d been a massive disturbance and somebody had been knocked unconscious. He added: “As I approached him, a man came and identified himself as a doctor to me. “He said ‘who is in charge of all these bodies?’ and I said I didn’t know there were any bodies. In a statement, Mr Grace said: “Almost immediately I was approached by Superintendent (Roger) Marshall who said to me ‘would you get your men to remove these bodies as they are antagonising the spectators’. He told the inquests he did not instruct his officers to perform checks on the casualties they carried because he assumed they had already been assessed as dead. Mr Grace could not identify any of the bodies he had seen. The court heard Derrick’s mum Margaret was informed that he had died on 1pm on Sunday, April 16, 1989 and identified his body at 8pm that day. 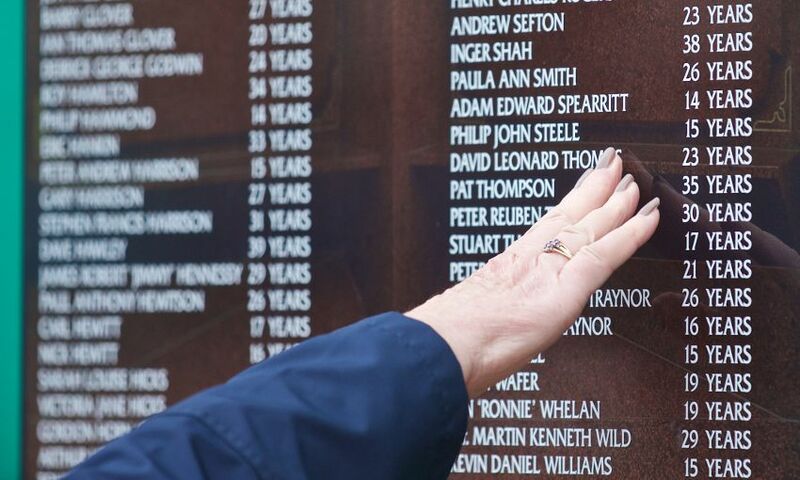 A former soldier told fans to turn a victim over to “give him a chance to breathe properly” as he was carried from the pen at Hillsborough, the inquests heard. The court heard David Benson, a 22-year-old dad-of-one from Warrington, had travelled to the game on April 15, 1989, with next-door neighbour and friend Ian Long, who had a ticket for the North Stand. Liverpool fan Terrence Pitt, who served in the Army for 15 years before the disaster, described seeing a casualty, who he later identified as David, being carried through the tunnel after the crush. In a statement, he said: “Another person was carried out, the three people carrying him had him face downwards with his arms outstretched. “I told them to turn him over and give him a chance to breathe properly. “They turned him over and I got hold of one of his legs. He said he and two police officers started to perform CPR. Mr Pitt said he and a police officer had tried to feel a pulse but couldn’t. He said: “If there was, it was very faint or non existent. But he said there was no response to treatment and after three or four minutes they stopped. The court heard David had been in pen three of the terrace and pictures of the crowd in the pen at about 3.03pm showed him grimacing and looking up. He was pictured standing close to Roger Ball - whose 16-year-old son Kester also died in the disaster on April 15, 1989. The evidence of Mr Ball, who has since died, was read to the court. He described the pressure building up in the pen and said: “I saw Kester on my left and felt that as he was taller than those around him, he would be OK. The court heard David had been confirmed dead by Professor John Ashton and later moved to the gymnasium. His dad, Brian Benson, travelled to Hillsborough that evening and identified his son’s body at 2.05am.